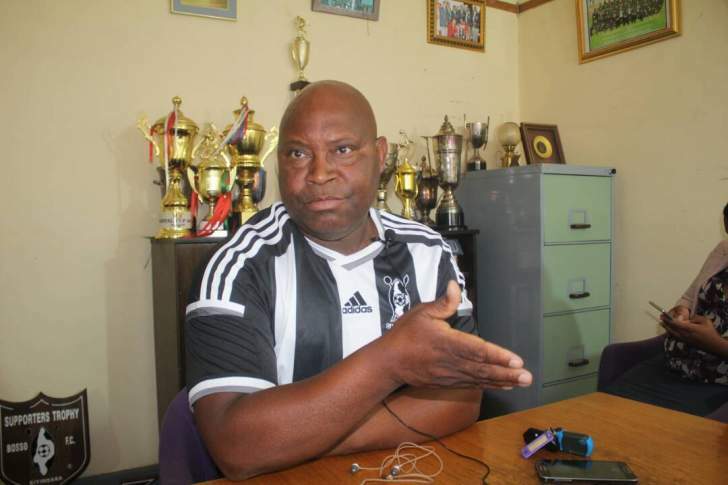 HIGHLANDERS coach Madinda Ndlovu says signs of fatigue are still showing in his squad following the draining trip that took them to Rusape via Mutare then Harare and Kariba last week to fulfil two Castle Lager Premier Soccer League fixtures. Between Tuesday and Saturday, Highlanders travelled close to 2 000km by road and played two league matches which they both lost after their 3-0 win over Dynamos at Barbourfields Stadium the previous Sunday. They return to BF where they take on Yadah in the first round of the Chibuku Super Cup tomorrow. Ndlovu calls it "The Story of our One Week Experience outside Bulawayo". But despite complaining about the condition of the pitch and match officiating in Rusape, the gaffer admitted they were beaten clean in Kariba, attributing the second loss to lethargy after the long trip. Ndlovu said his boys will probably need to take supplements to fully recover after last week's experience. "You can see at training that the boys are still tired and their bodies are not yet back into shape. We will need a lot of nutritious stuff to take and maybe supplements to try and get them back into good shape for the weekend game. This experience has really taken much out of their bodies. We will see what we will come up with over the weekend but we still have that challenge of the effects of the trip that we embarked on last week," Ndlovu said. He, however, said the test of endurance was a good experience for his players and he does not regret it. "When I analyse the whole thing; it was a very good lesson for the youngsters. It was a very good learning curve for them to understand what Premier Soccer League can be all about. Not reading much into the results that we brought from those two away games because of other reasons beyond our control; we put behind us whatever has transpired and look forward to the coming games," Ndlovu said. Left-back Mbongeni Ndlovu, who was injured in Rusape last Wednesday, is still under doctors' care although he has been training while the influential Adrian Silla, who lost his grandmother and missed the tie against ZPC Kariba, was expected in Bulawayo yesterday to join the rest of the team. Ndlovu said he was not certain of Silla's availability for tomorrow. Bosso are still backing themselves to progress further in this competition. "We have the Chibuku Cup coming this weekend against such a stubborn team which has been posting quite good results of late. We are also aware that there is one of our sons there, Ralph Matema, who is on the lips of all Highlanders' lovers. It's going to be a tricky encounter but this is the only meaningful competition that we should try and brace ourselves to do well," Ndlovu said.